Cé nar ghlac Cill Chartha páirt in imeachtaí Chumann Luthcleas Gael go dti 1924 bhí cluichí gaelacha a imirt roimh sin. Ní raibh cumann peile ar bith eagraithe sa Pharóiste roimh 1920. Bhí sacar a imirt ins an Pharóiste roimh 1920 ach tareis na Black and Tans theacht anseo thosaigh na gasúr óga ag imirt peil ghaelach de bharr athbheochaint náisiúnachas sa cheanntar. Nuair a d’imir foireann Chill Chartha ar an trá i gCaiseal, Gleanncholmcille don chead uair i 1924, ba ar trí charr a dtarraingt ag capaill an córas iompar a bhacú. Ba iad Aodh Mac Giolla Chearra agus Seán Mac Seáin as Druim Righteach, agus Padraig McDaibhid as Baile and Teampaill na tiománaithe. Ba ar lorrai Phádraigh UaGabhra, nó Paddy Tim nó Bradley mar a tugaí air, a thaisteal siad ina dhiaidh sin. A’ Ratha agus Béal Átha Seannaigh ar fionraí agus dhiúltaigh Dún Fionnachaidh Cill Chartha a imirt ins an chluiche ceannais mar nach raibh siad sásta gur cuireadh na foirne eile ar fionnraí. I 1933 agus 1935 buaigh an chumann Straith Sinsir an Chontae ach de bharr imirce ní raibh an chumann an-láidir i rith na tríochaidí. Bhí Corn Shliabh Liag a imirt ag an am sin idir foirne ó Chill Chartha agus Gleanncolmcille. Bhuaidh Gleann a’Bhaile Dhuibh corn Shliabh Liag i 1930-’31, Baile an Droichid i 1931-’32. Níor chríochnaíodh an comórtas i 1931-’33. Bá é an tAthair O Gríofa a bhí ar an Charraig a chur tús leis an chomórtas seo. I rith an ama seo bhí fear amháin ins an Pharóiste a raibh cliú agus cáil air, sé sin James Patrick MacFhionnghaile. Bhí sé ar pheileadóir chomh maith is a bhí sa tír ag an am. Thosaigh sé ag imirt i 1924 agus chomh maith le bheith ag imirt leis an chlub d’imir sé le fochumainn Ard A’Ratha, Na Cealla Beaga agus Glenncholmcille. D’imir sé ar fhoirne Chontae idir 1933 agus 1946. Bhíodh sé ag réiteoireacht comh maith i rith na h-ama seo. D’éirigh sé as an imirt agus an réiteoireacht i 1948. I rith na dachaidí, ach go h-airaithe i rith an chogaidh, ní raibh an chumann ábalta foirne láidir a chur chun na páirce de bharr easpa córais iompar. I 1948 tháinig feabhas ag ghnóthaí eacnamaíochta agus d’éirigh leo an chuiche ceannais de Craobh Soisear an Chontae a bhaint amach ach fuair Na Dúnaibh an lámh in uachtar orthu. Bhí an chlub an lag ag tús na gcaogaidí ach rinneadh iarracht mór i 1951 chun an chlub a atheagrú. I 1953 bhí foireann mionúr ag imirt faoin ainm An Charraig agus bhí siad comh maith agus a bhí ins an Chontae. Bhí biseach ag teacht ar gnóthaí eacnamaíochta ins an Pharóiste comh maith mar go raibh Gaeltarra Éireann agus comhlucht foraoiseachta ag cur fostaíocht ar fáil. I 1959 bhuaidh siad Sraith Sinsir na Contae nuair a bhuaidh siad ar An Chlochán Liath ins an cluiche ceannais. Fuair Séan Mac Cumhaill an láimh in uachtar orthu i gcluiche ceannais Craobh Sinsir na Contae. Bhí siad ins an cluiche ceannais den Craobh arís i 1963 ach fuair Séan Mhic Chumhaill an buaidh orthu. I 1964 d’éirigh le foireann na Mionúr Craobh an Chontae a bhaint don chéad uair agus bhí brí úr le feiceál ins an chlub. I 1968 rinneadh atheagrú ar an chlub arís agus thosaigh siad ag imirt i Craobh Soisear na Contae. Bhí an Pháirc in aice na trá, i dTamhnaigh a bhí a úsáid ó na fícheadaí maith le leor, gidh go raibh sé goirid, agus bhí neart scríofa faoin suíomh álainn agus an radharc álainn i mbá Thamhnaigh leis na “Grandstands” ar gach taobh. Bhí grinneall gainimhe aige a bhí i gcónaí tirim agus bhí sé réasúnta réidh Roimh na ficheadaí chuir muintir na h-áite clocha móra amach i gcoinne na taoide agus líon sé suas an spás le gaineamh na trá. Tógadh balla stroighne cois na h-abhann i 1950/’51 sa dóigh nach mbeadh briseadh agus réabadh a dhéanamh ar an talamh. Ag deireadh na gcoaghadaí agus ag tús na seascadaí, bhí mórán leoraithe agus tarracóirí ag tógáil gairbhéil agus gainimhe ón trá. Mar gheall ar seo bhí an taoide ag ithe giota indhiaidh giota den talamh go dtí nach raibh fágtha ach tuairim dhá dtrian den gnáth pháirc imeartha. Ní raibh sé sásúil i gcóir cluichí do dhaoine fásta giddy go raibh sé measartha maith do na buachaillí óga. Fuair Mícheál Óg Mac Pháidín, Teachta Dála agus Seanadóir, bás i 1958 agus go luath i 1959 tionóladh cruinniú sa pharóiste agus piocadh coiste sa bhaile agus i gcéin le éacht éigin a dhéanamh i gcuimhne Mhíchíl Óig. Ceannaíodh píosaí talaimh in aice na h-abhna ó fheirmeoirí Thamhnaigh agus bronnadh ar an chlub iad. Tugadh Páirc Chuimhneacháin Mhícheáil Óig Mhic Phaidín air agus osclaíodh é i Mí Lúnasa 1964 le cluiche in éadan an Chlochán Liath. Bhí deacrachtaí leis mar go raibh sé doiligh an t-uisce a bhaint den pháirc nuair a bhí an aimsir fliuch mar gheall ar suíomh agus guí an talaimh. Ní raibh an pháirc leathan go leor go háirithe ar an taobh in aice Bá Thamhnaigh, rud a d’fhág cluichí dian le caighdeán íseal peile agus muintir Chill Chartha caillte ar pháirceanna móra an Chontae. Bhí an pháirc seo a úsáid go dtí 1984 nuair a tógadh agus fosclaíodh an páirc úr atá ar shuíomh na páirc a bhí in aice na trá. Bhí tús ciúin go leor leis na seachtóidí agus ní raibh leidiú ar bith a thabhairt faoin ré órga a bhí le teacht. Bhain an chlub, a bhí ag imirt sa roinne Soisear, Comórtas Peile na Gaeltachta Dhún na nGall sa bhliain 1970. Bhain an club an Craobh Soisear na Contae i 1971, Craobh faoi-21 i 1972,1973 agus 1974. Bhí fear óg darbh ainm Mícheál Mac Giolla Chearra ag imirt leis na foirne faoi-21 agus bheadh cliú agus cáil air níos moille. Bháin sé bonn Craobh Uladh ag imirt le Dún na nGall i 1974. Bhain siad Comórtas Peile na Gaeltachta (Dhún na nGall) i 1975. D’éirigh leo Sraith Sinsir na Contae a bhaint i 1975 agus i 1979. Ag deireadh na seachtóidí cuireadh tús le obair ar an pháirc úr. Bhí na cluichí ar fad a imirt ar Pháirc Cuimneachain Mhicheáil Óg Mhic Phaidín ach bhí páirc eile a dhíth ar an chlub. I 1980 rinne an foireann sinsir éacht nuair a bhain siad Craobh Sinsir na Contae. Bá iontach an lá sin don chlub. Bhí laoch nua eile le feiscint an lá ud, sé sin Máirtin Beag Mac Aoidh. Ní raibh sé ach ocht mbhliana déag d’aois ag an am. Gan aon dabht ba seo an éacht ba mhó riamh ar pháirc na himeartha agus thug sé seo misneach don chumann agus don fhoireann óg seo. Bhain siad an Craobh arís i 1985, 1989 agus bualadh orthu ins na cluiche ceannais i 1982, 1987 agus 1988. Bhain siad Srath Sinsir na Contae i 1981,1982,1983,1984 agus 1987. I gComórtaisi Peile na Gaeltachta bhain siad an Craobh Contae agus an Chraobh Náisiúnta Sinsir i 1987 agus i 1989 bhain siad an Craobh Sinsir agus an Craobh Soisear Contae agus an Craobh Sinsir agus Soisear Náisiúnta i Gleanncolmcille. Bhí an foireann Soisear ag imirt ins an Craobh Idirmheanach agus bhí siad ins an cluiche ceannais i 1984 nuair a bualadh orthu. Fósclaíodh an pháirc úr ar 5ú Lúnasa 1984 agus bhí baill an chlub ag ceiliúradh an ócáid stairiúil seo. I 1990, 1991, Bhain Cill Chartha Comórtaisi Náisiúnta Peile na Gaeltachta. sé sin trí mbliana as a chéile. I 1993 bhain an foireann Sinsir Craobh Sinsir na Contae nuair a fuair siad an láimh in uachtar ar Na Cealla Beaga agus bhain an foireann Soisear Craobh na Contae nuair a bhuail siad Gaeil Fhannada ins an cluiche ceannais. I 1998 bhain na Mionúr Craobh na Contae in athimirt in éadan Na gCeithre Maistirí. Rinne Aaron Ó hÉigeartaigh éacht an lá úd nuair a scóráil sé ceithre cúl. 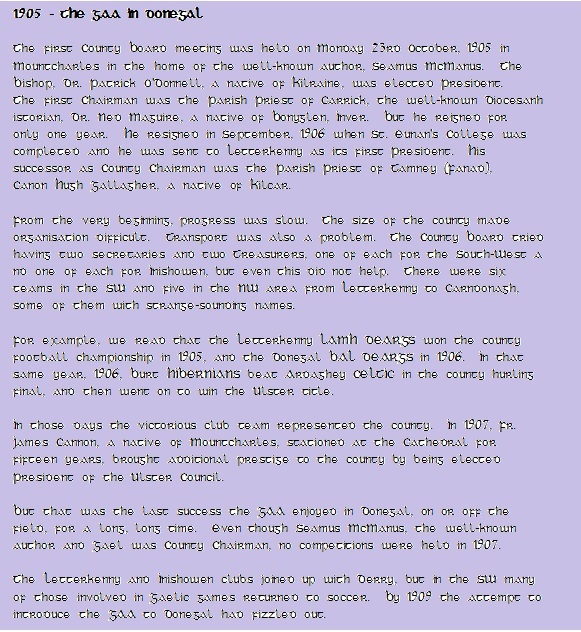 I 1999 bhain an foireann Sinsir An Chraobh Chontae de Chomórtaisi Peile na Gaeltachta agus bhí deireadh seachtaine tharr bharr acu i Rinn Ua gCuanach, Port Lairge. I 2000 bhain an foireann Sinsir an Chraobh Chontae de Chomórtaisi Peile na Gaeltachta arís agus thug siad a n-aghaidg ar Cill tSéadhna i gContea Maigh Eó. Bhuail Naomh Abán iad sa cluiche cheannais. I 2001 bhain an foireann Soisear Craobh Soisear B na Contae. I 2017 bhain an foireann Sinsir Craobh Sinsir na Contae nuair a fuair siad an láimh in uachtar ar Naomh Conaill, agus bhain an fhoireann sin Sraith Roinn 1 na Contae chomh maith. O Tús na naochtaí tá athrú mór tagtha ar na aiseanna ata a chur ar fáil ag an chlub. Seomraí feistis nua, Car clós nua agus bóthar nua. Comh maith le sin tá obair a dhéanamh ar ná páirceanna imeartha agus ar an timpeallacht agus is cinnte go bhfuil na h-aiseanna seo comh maith is atá sa tír. Béidh na Comórtaisi Náisiúnta Péile na Gaeltachta ar siúl i gCill Chartha sa bhliain 2024. Although Kilcar did not officially enter the G.A.A. until 1924 and so play county competitions they had played their first recorded game in 1921 (local inter townland). There were three main reasons for the changeover from soccer to Gaelic. Because of Black and Tans involvement in the parish the men became much more nationalistic and adopted the game of Gaelic football in preference to soccer. This trend was also very powerful in all the colleges mentioned before and the boys attending here brought these ‘ideas' home to spread among their own kinfolk. 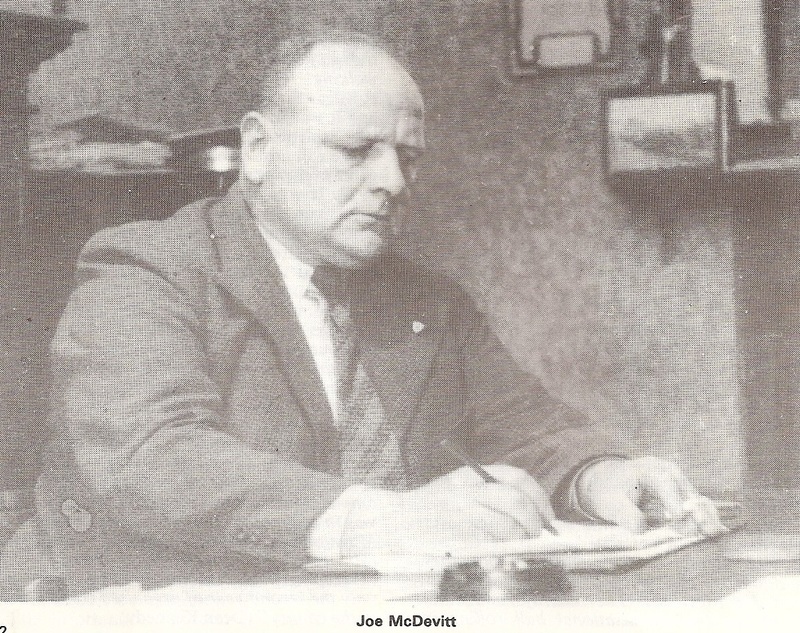 Because of one Joe McDevitt who went firstly to St. Columb's, Derry; St. Pat's College in Dublin and then went on to be the next principal of St. Enda's school in Dublin after Patrick Pearse had been executed. He more than anyone else was instrumental in setting up the G.A.A. in Kilcar. But before the club officially got underway there was that first ever game in 1921. "Up the Glen challenged Muckross in this new football game in 1921. 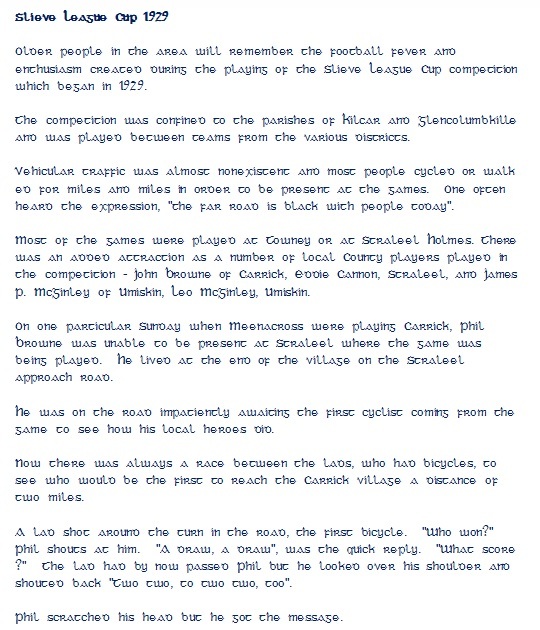 It was the first Gaelic game every played in Kilcar.. It was played in the month of May. "Glencolmcille challenged later on in 1921. Accepted. Kilcar's teams was picked from the "Up the Glen and Muckross teams": This was the first ever game that a Kilcar parish Gaelic team played in. The opponents for the very first time were arch rivals and neighbours Glen against whom many epic battles would be fought in the future. As one would notice all these early games were played on beached and they did not use goalposts but sticks or coats and if it went above outstretched hand height a point was given. 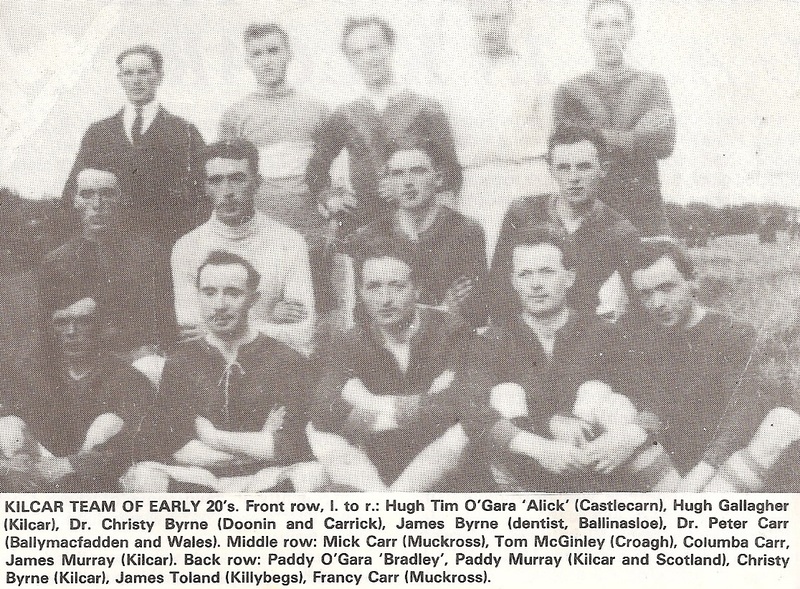 Even though Kilcar as a club did not enter competitions until 1924 many individuals were prominent in G.A.A. affairs. Mick Carr won a championship medal with Ardara in 1923. After 1918 Kilcar soccer team wore a rig of all royal blue with gold ‘V' and when the first Gaelic team started up they also adopted the same colours. But at that time money was hard to come by and rigs had to be gathered. On the team that played Ardara on 15th August 1922 were five Erin's Hope players going to St. Patrick's Training College in Dublin. These of course had the jerseys home (Blue with a gold hoop). It had to be incorporated into the home rig because there wasn't enough jerseys to go around. The home team liked the jerseys so much that they adopted them as the home colours and bought a set of them. Apart from two brief spells - once in white when amalgamated with Glen and green in the late ‘sixties' - the blue and gold has been worn with distinction and pride ever since. 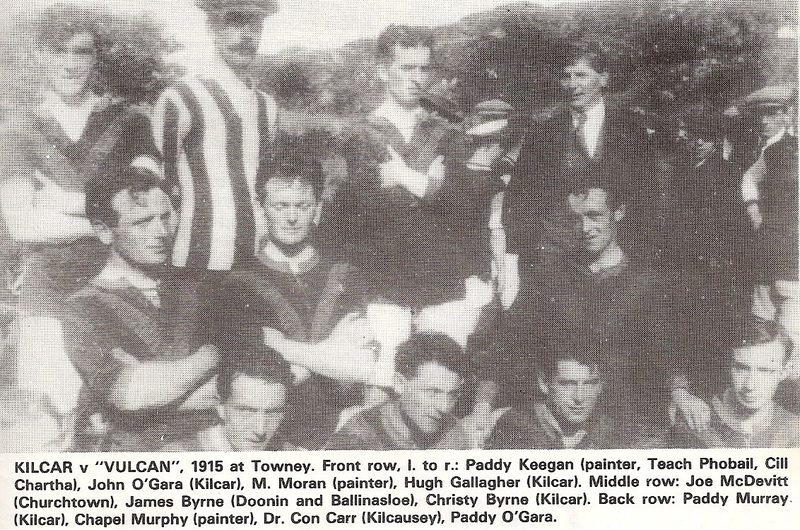 Kilcar began to participate in county competitions in 1924. Most of the fixtures for that first year were played very late on to facilitate the winnings of the harvest. In 1925 Ardara along with Ballyshannon, Mountcharles, Glenties, Kilcar and Donegal took part in the 1925 South and South-Western League. The championship of 1925 ended with Ardara and Ballyshannon suspended and Dunfanaghy refusing to play Kilcar in the Final because of "the unsporting way in which they reached the final !!". Kilcar won the championship by default. In 1930, a Fr. Griffith was appointed curate in Carrick. He was a man of great energy and organisational ability who went around on horseback. He soon realised that the biggest drawback to the progress of football in the area was the lack of regular competition with a real bite. Periodic challenge games he felt were of little use, So after a number of meetings a properly organised competition was established for the parishes of Kilcar and Glencolmcille. There were six teams altogether: Kilcar Parish: Up the Glen: Kilcar Town: Glencolmcille Parish: Carrick: Meenaneary: Meenacross: Malin. Because Kilcar had no parish teams during the early thirties one or two players played for neighbouring parishes. 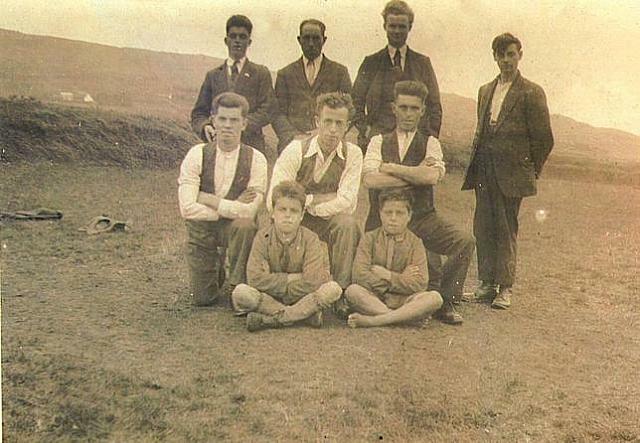 For instance on the Ardara team who played Bundoran in the Democrat Cup semi-final in October of '31 was S. McGinley. In 1933 the Kilcar team combined with a few Glen players, notably John Browne (Carrick), and entered the Democrat Cup for the first time. They defeated Gweedore in the final, Kilcar 4-05 Gweedore 2-04. 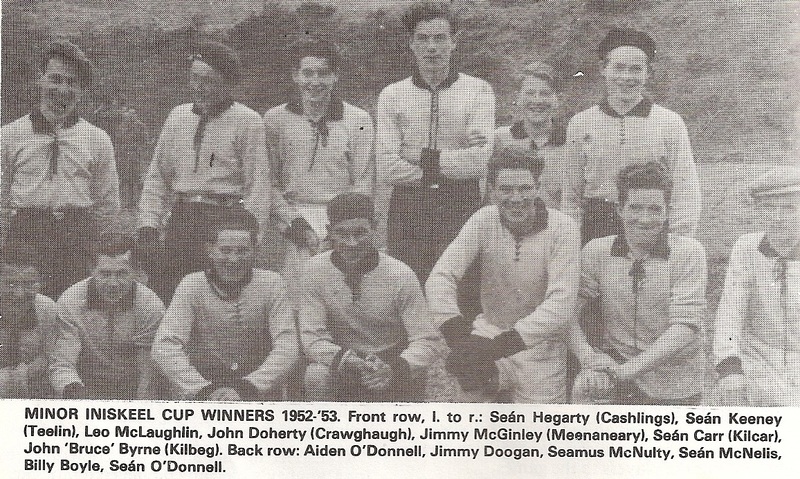 Kilcar won The democrat cup again in 1935 by defeating Donegal town in the final. Kilcar 3-04 Donegal 0-01. In 1936 inter-county provincial hurling came to Towney with Donegal meeting Armagh. In the 1938 Donegal Senior Football Championship only three teams competed in the South West Division. Ardara Kilcar and Glenties, with the matches being played on a round robin basis. In the 20's, 30's and 40's there was one superstar in Kilcar, James Patrick Mc Ginley, and he was well known and feared throughout the county for his skills as a footballer. James Patrick was born and raised in Umiskin, Kilcar. Umiskin produced many fine footballers and James was one of six brothers who played for Kilcar. Johnny, Joseph, Eddie, Francis, and Leo. Leo, and his son, Sean, also played for Dun na nGall. 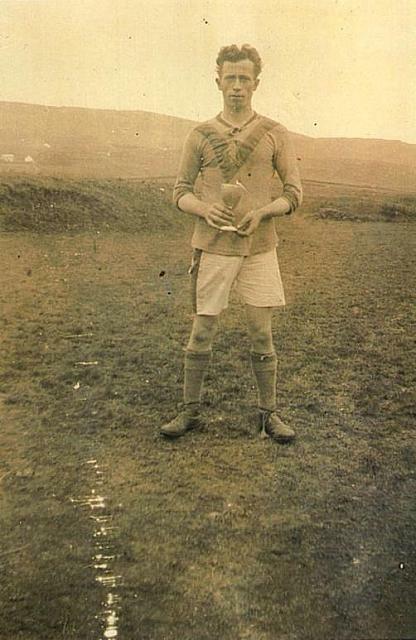 James played his first game for Kilcar in 1924 and continued playing until 1947 or 1948. He had a long and illustrious career with the county in many positions from 1933 to 1946. His first county game was against Cavan in 1933 in the Ulster Junior Championship in Bundoran. An amazing feature and an indication of his fitness was that he did not have any injury during his long career. He also refereed many matches when he stopped playing. Many people would say that J.P. was one of the finest all-round players they had seen. 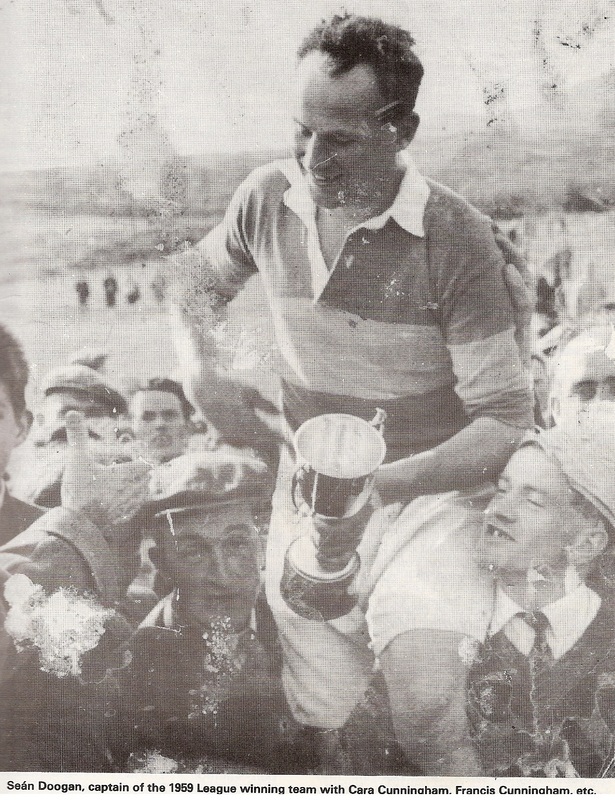 Kilcar competed in the Junior Championship during 1939, 40 and as one would notice from the records kept at that time there is no mention of J. P. McGinley or Leo McGinley, who both, because of the G.A.A. ban, had been barred from playing Gaelic football because they played soccer for Killybegs. The late 30s and early 40s were, of course, the years of the economic war when emigration was worst of all in the poor rural areas. The onset of the war posed new problems for the G.A.A. in rural areas because of the transport problems and so Kilcar were only able to field one team. But "every cloud has a silver lining" and perhaps these were the happiest days of all as full teams set out on poorly equipped bicycles to cycle to Killybegs (7 miles), Glencolmcille (10 miles), Ardara (19 miles) and Glenties (25 miles) to fulfil various fixtures in different competitions. Friendships were made on these long journeys as team-mates pushed each other, mended punctures and sheltered under bushes along the way. commodity at the time. Parish leagues were a big boon in the forties because of the petrol shortage and they began in Kilcar in 1941. From 1944 to 1948 Kilcar produced an immense number of talented players in the parish league but the parish team never seemed to get it going against outside opposition. 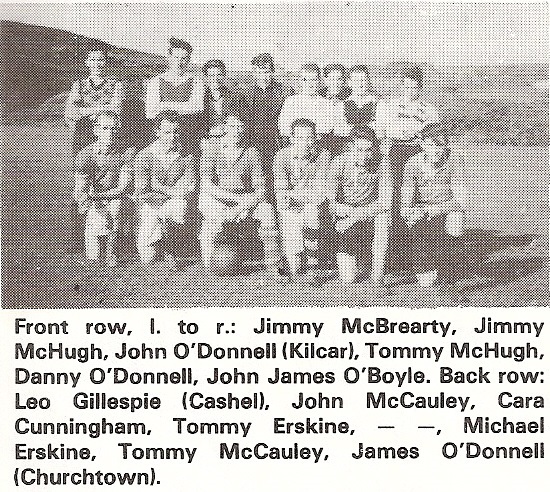 In the late forties, 1945-'46, there were a number of players from Glencolmcille who played for Kilcar, e.g., Columba Ward, C. Browne, Tommy Haughey and Bernard Haughey. At this time as well there was a South West league which Kilcar won on one occasion beating the army 0 - 4 to 0 - 2 in the final. In 1946 Donegal Town were allowed to play in the St. Connell Cup. Kilcar beat Donegal in the early rounds but because of the points system used Donegal Town reached the final against Kilcar by defeating Ardara in the semi- finals. Kilcar defeated Donegal by 1 point in the final. The forties continued to be a decade best forgotten for the majority of the Clubs in the South West Division. 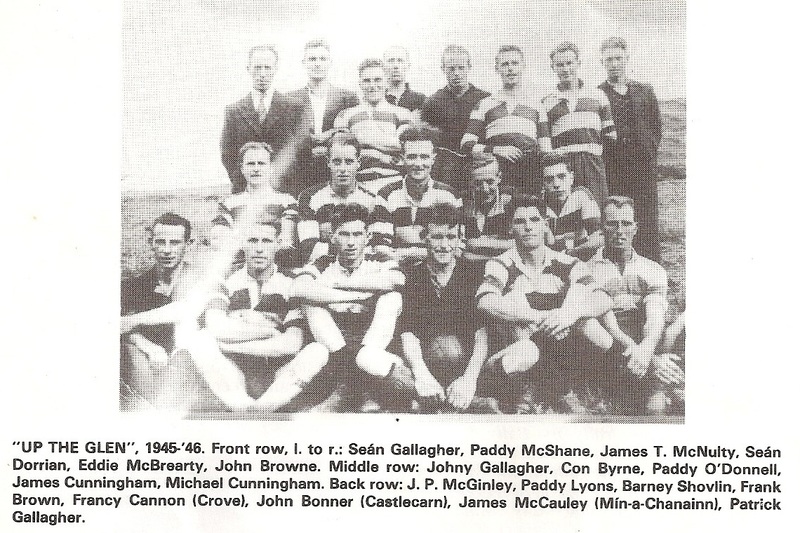 Ardara and Glenties were the only two clubs once again in the 1947 Senior Championship. Public Works to divert the river to the Kilbeg side of the strand and to improve the approaches to the field. As every incoming tide brings in fresh sand the field will grow in size and in the course of time it will be one of the best playing pitches in the county". Gillespie,Umiskeen, chairman secretary,Mr. Phil O'Donnell, Kilcar: treasurer:Mr.Proinnseas Carr, Kilcar: committee, Messrs. Aodh O' Gara, James Mc Brearty (Kilcar), Sean Dorrian(Cashlings), John Mc Cauley(Towney), Patrick H. Gallagher, Frank Gillespie and William Boyle. It is the intention of the club to enter a team in the Donegal Senior County Championship. It was decided to commence practice immediately and to a series of friendly and challenge games. 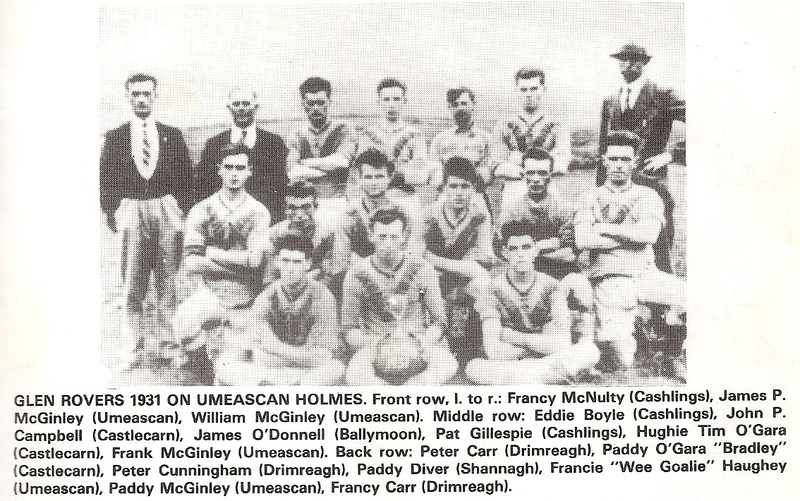 In the 1955 Championship Kilcar defeated Glenties at Dunkineely by 3-5 to 1-3 on the 23rd July and they defeated Dunkineely by 3-1-0 to 0-6 at Towney, but were beaten by Ardara at Towney 1-5 to 0-4 on the 19th June (Championship was on points system). In the late fifties the employment situation was improved slightly as Gaeltarra Eireann and the forestry kept some of the young men at home and it was easier to gather fifteen players. One of the problems on Towney Strand was the fact that the ball entered the sea quite frequently. On calm days a boat from Towney pier might be used to retrieve the ball but in rough weather with north or east winds a nice cool swim out at the Garr-aoil might retrieve the ball. A good ball was costly and it is also said that the football boots were bought for the players at a certain stage in the fifties. The boots were kept in a chest with the jerseys in lower Carr's. A problem then arose on the day of the game because it was that "if the boots fit you play". Later on, the treasurer, Proinnsias Carr brought in a scheme whereby the players could buy the boots at half price £1.10s and keep them. In 1959 Dungloe moved into the South West Division. This move was said by some to have improved the standard of football in the South West Division Kilcar defeated Dungloe in the final of The Democrat Cup which was played in Glenties on the 13th May 1960. Kilcar 1-11: Dungloe 0-7 The Donegal Democrat had the following in Spotlight on the Gaels: Kilcar's facile victory in the final of the Democrat Cup competition certainly set the South West Gaeltacht ablaze with enthusiasm on Sunday week when scenes of great jubilation were witnessed on the arrival home of the victorious team and supporters. People of all ages, men, women and children joined in rejoicing the first senior county football league victory for the club in a quarter of a century. A triumphant procession bearing the much coveted trophy, the glittering Democrat Cup, wended its way through the Donegal highlands from Glenties to Ardara and on through Killlybegs by the winding road along the verge of the picturesque Donegal Bay to Fintra, Largy, Shalway and Bavin. The huge convoy of cars carrying cheering supporters presented a most impressive spectacle as it streamed along the coastal road. The procession was led by the car carrying the captain of the team, Sean Doogan, who held the trophy aloft. The cars bearing the other members of the victorious team were next in order. All were bedecked with flags and buntings while most of them were decorated in the St. Cartha's club colours and in all the number of cars was between fifty and sixty. The jubilation reached its climax as the victorious team, club officials and supporters made a triumphant entry into Kilcar town. There the players who had already been ‘chaired' from the park in Glenties were again feted and extended heartiest congratulations in complimentary speeches by club officials and supporters. This was a gala evening for the village and district and one that will long be remembered by those present for its enthusiasm and excitement." 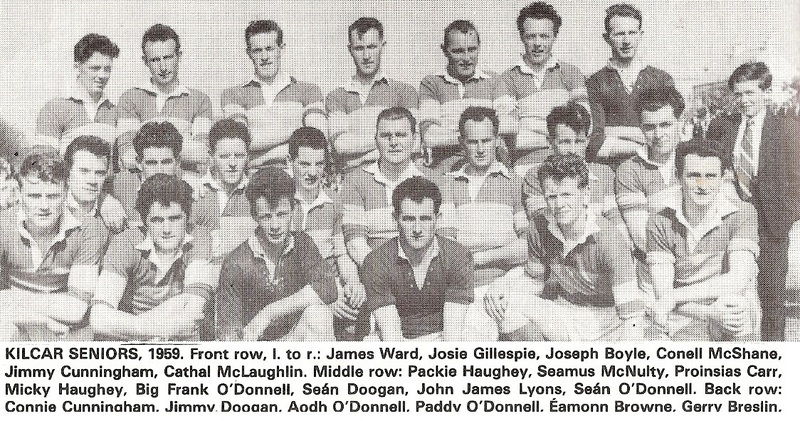 In March 1960, there were inter divisional senior games in order to select a county panel and many Kilcar players featured on the South West Division but only Paddy O'Donnell, Sean O'Donnell, J.J. Lyons and Cathal McLaughlin reached the final panel and they were beaten by Derry in the Ulster Junior quarter final on the 29th of March, 1960. 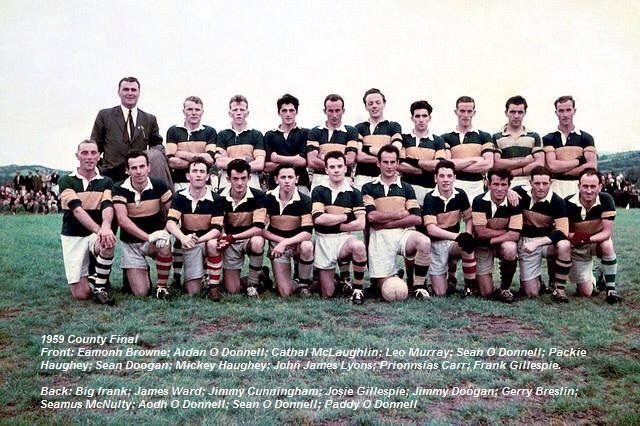 Kilcar reached the county final in 1963 and faced McCumhaills for the second time in three years, in a disappointing final Kilcar lost 1-06 to 0-04 with all the Kilcar scores coming from frees. In the 64 championship played in July, Kilcar met Ardara at Towney and short nine of the winning league team won convincingly by 3-6 to 1-2. 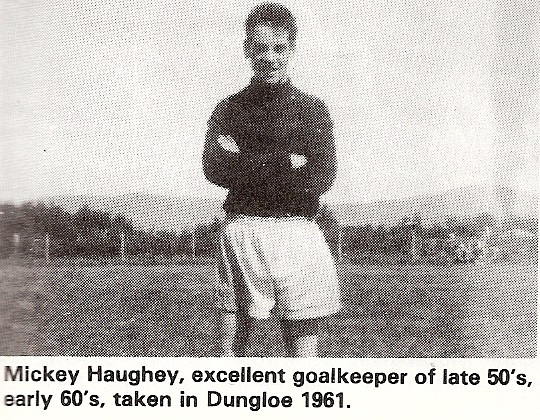 Killybegs separated to form a junior team in 1964, and results were poor at senior level. 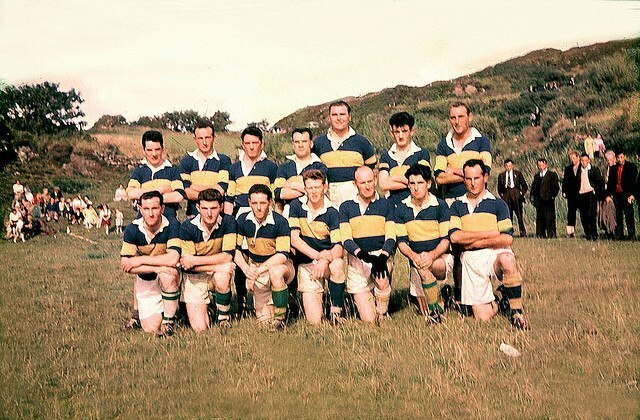 Glencolmcille left to form a senior team for 1965. This meant that the services of Cathal McLaughlin, Francy, Barney and Connie Cunningham, Paddy Gillespie, Josie Gillespie were lost. Jimmy Doogan had a knee injury and emigrated to London; Leo Murray emigrated and Josie Boyle was laid off with a leg injury. Some of the other players were "getting past it." But there was "light somewhere in the tunnel" and Brendan McShane was in charge of the Minor team which was combined from Glen, Kilcar and Killybegs. One of the team, Proinnsias Byrne, Doonin, was on the County Minor team with Proinnsias Maloney of Carrick. The Naomh Mhuire minor team beat Gweedore in a tough encounter at Glenties in the quarter-final and beat Inishowen in the semi-final and went on to beat Four Masters, Donegal Town, 2-7 to 2-4 at O'Donnell Park, Letterkenny on the 13th of September 1964. Kilcar were hit by the absence of three top players which could not be released from St. Eunan's College and the half time score was 1-4 to 1-3. Kilcar were strong at midfield where Proinnsias Byrne and Sean McNeilis put in fine performances. Others to shine including a strong defence were P. J. Malone, J. Fitzgerald, J. O'Sullivan and Tom McShane. The Kilcar team was: Donal Cannon, Seamus Campbell, Kevin Gillespie, D. Sheridan, Seamus Gillespie, Tom McShane, P.J. Maloney, P. Byrne (Capt.) and Sean McNelis, T. Smith, J. Fitzgerald, C. Haughey, Sean McGinley, J. O'Sullivan, Michael Breslin. The Kilcar scorers were: S. McNeilis 1-2, P. Byrne 0-1, M. Breslin 1-0, J. O'Sullivan 0-2, J. Fitzgerald 0-1, T. Smith 0-1. Added to the above playing panel were Hugh Kennedy, Eamonn McBrearty, Bernard McIntyre, Con McShane, Phil Ward and the Letterkenny trio of Michael Doherty, Francis B. Campbell and Barney McIntyre. 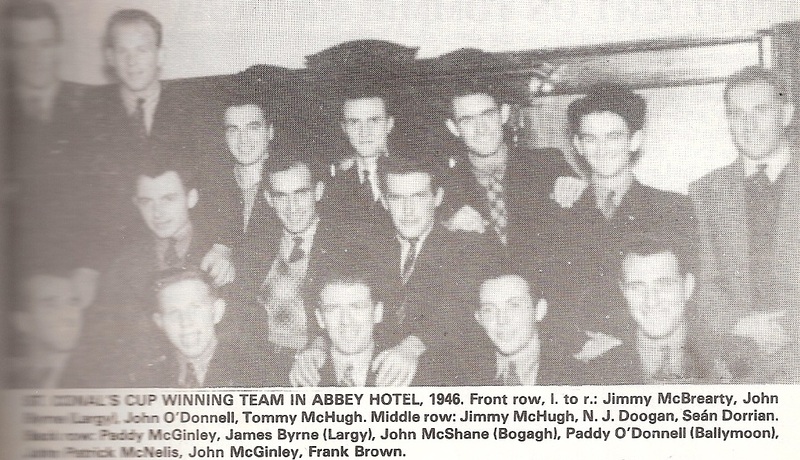 This particular minor team celebrated their victory at a presentation in the Glenbay Hotel on the 3rd of January 1965, with Charlie McDevitt as chairman and Michael Gillespie as secretary and assistant to Mr. Brendan McShane, team manager was Mr. Joseph O'Boyle. In 1965 and 1966, Kilcar seniors failed to win any game but managed at all times to field a team. Sean McGinley, Umiskin then ‘15' played in goals and on the 31st of May they were beaten in the Democrat Cup Senior League by St. Columba's at Glen by 2-8 to 1-10. Also in 1967 Joseph Boyle played on the Donegal Junior team in the Ulster Championship and Donal Doherty played at centre forward on the minor team. A revival began in 1968 when Kilcar dropped to Junior and reached the county semi-final of the championship to be beaten by Downings 2-11 to 0-4. In the Minor football Iniskeel Cup the Kilcar team comprising of players from Kilcar and Glencolumbkille won the final in Glenties defeating Rosses Rovers 4-2 to 0-8 - having defeated Killybegs in the semi-final by 4-18 to 0-03. The late sixties were not very successful in Kilcar on the football field and even the jerseys were exchanged quite a lot. The Na Fianna team of 1967 wore white and Kilcar wore white that particular year as well. In 1968-'69 it was green jerseys (white collars) from Gaeltarra Eireann - but it was back to the blue and gold the following year and into the seventies. The Junior Football Championship final between Kilcar and St. Michael's (Dunfanaghy) was played on the last Sunday in August 1971. After a first half of sizzling football Kilcar led by 1-2 to 0-4 but Kilcar lasted the gruelling pace the better to achieve a worthy by no means easy win. The event was overshadowed by the tragic death of St. Michael's club vice-chairman, Sergeant Patrick Gill, Dunfanaghy, who was a spectator at the game. Kilcar scorers in the first half were P. Cannon 1-0, S. Gallagher 0-2. Kilcar's early success in the second half were F. Boyle 0-1, Sean McGinley 0-1, while P. Haughey replaced D. Cronin. The turning point of the second half came in the 12th minute after a good movement from S. Campbell to P. Haughey to J. Boyle who shot against the post but M. a. O'Donnell followed up to crash a great shot to the net leaving Kilcar four points ahead. Kilcar substituted M. O'Donnell for H. Shovlin and Donie Doherty for J. Boyle. These two combined well foranother Kilcar point and S. Gallagher finished off the scoring with a point from a 14-yard free. The final score was Kilcar 2-6, St. Michael 0-7. Once again Danny Gillespie towered above all his teammates in the Kilcar side with Seamus Campbell and Sean McGinley also showing to advantage. The cup was presented to the Kilcar captain Connie Hegarty by the chairman of the Donegal G.A.A., Mr. Tom Walsh. 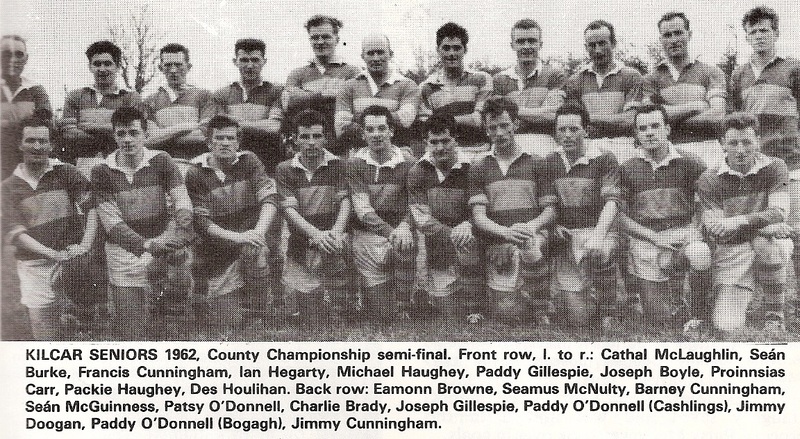 Teams, Kilcar: Seamus Gillespie, Seamus Shovlin, Francis Campbell, Seamus Campbell, Donie Cronin, Danny Gillespie, Ian Hegarty, Hugh Shovlin, Sean McGinley, Seamus Gallagher, Paddy Cannon, Michael A. O'Donnell, Joseph Boyle, Connie Hegarty, Michael O'Donnell. Note: Seamus Gillespie (Dachtan) was the Goalkeeper. Seamus Gillespie (Kilcausey) was unavailable for the final as he gone on a business trip to England and Italy St. Michael's: John Mulligan, Monty Alcorn, Mick McColgan, Frank Kelly, Seamus Greer, Hugo Devine, Brian McGinley, Gerry Hannigan, Noel Toyne, P. J. McFadden, Kevin Dunlop, Joe Noone, Neilly Gallagher, Joe Carroll, Henry Shannon. People of Kilcar will argue for many years to come that this was the turning point in the club's history but there is no doubt that the '71 team was the backbone of the club for many years afterwards, both on and off the field. The club's participation in the U-21 Championship in '72 provided a new inspiration for the future and give the club the most successful run in under-age in our history. By November they had reached the final where the opponents were Convoy. The final score was an amazing 6-15 to 0-5 in Kilcar's favour. The Derry People reporter described the game as "the most accomplished performance by an under-age team that I have ever seen" with the Donegal Democrat reporter's description as "the best display ever seen by an underage team in Donegal." High praise indeed for a truly magnificent performance. Kilcar scorers were: M. A. O'Donnell 0-7, M. Carr 1-4, M.T. O'Donnell 1-2, B. Shovlin 1-0, A. O'Donnell 0-1, A. Cannon 2-0, D. Gillespie 1-1. At the end of the match the Charles Kelly & Co. Mr. Paddy Hooey, Convoy, on behalf of the Donegal Minor Board, presented cup to the Killer captain, Hugh Shovlin. The Kilcar team was: Seamus Doogan, Sean Cannon, Seamus Shovlin, Dinny McBrearty, Hugh Shovlin, Martin Gillespie, James Cunningham, Danny Gillespie, M. A. O'Donnell (Largymore), Michael Carr, M. T. O'Donnell (Kilcausey), Aiden O'Donnell, Aodh Cannon, Bernard Shovlin, Ignatius Cannon. In 1973 Kilcar successfully defended the competition in December '73. The beaten finalists this time were Four Masters, Donegal, on a score line of Kilcar 1-5, Donegal 0-5. Kilcar had eleven of the previous year's team on duty with the addition of John Carr, Tommy McFadden, Peter Conroy, Eamon O'Donnell. It is interesting to note that the fifteen who lined out in that final five of them lined out in the 1982 County final. Dinny McBrearty, Danny Gillespie, Aodh Cannon, Michael Carr and Tommy McFadden. John Carr would have been another only injury kept him out. Four Masters had three of their '73 U-21 team in the '82 final: Brendan Martin, Enda Mullin, Jackie McGroarty. In 1973 the Kilcar Senior team did not fare too good and in one game early in January when missing quite a few regulars they were beaten by St. Joseph's who were than "virtually a county team", by a score of 6-16 to 3-6. Kilcar players on the county panel were John Quinn, Danny Gillespie, Aodh Cannon, Michael Carr and Michael O'Donnell. On the County U-21 panel was Michael Carr, Aodh Cannon and Dinny McBrearty, and on the Minor panel was John Carr and Tommy McFadden. In the '74 Championship, Kilcar met St. Joseph's (Ballyshannon-Bundoran) in the semi-final at McCumhaill Park, Ballybofey. Kilcar were beaten by a strong St. Joseph's team that include inter-county players such as Alan Kane, Pauric McShea, Ray Sheerin, Brian McEniff, Declan O'Carroll, Martin Carney and Seamie Cranaghan. The final score was Kilcar 1-9, St. Josephs 2-14. The U-21 team were going for three-in-a-row and the Derry People headlines were "Kilcar completed a hat-trick of u-21 Championships when they defeated Glenties". Surely a great achievement which poses the question can any other club match this achievement at this age group. Eight of the previous year's team were on duty with newcomers John G. Campbell, John O'Donnell, Stephen O'Donnell, Michael O'Donnell (Ballymoon), Francie Cannon, Seamus McBrearty and Michael Doherty. The match was played in Fintra and the final score read Kilcar 2-8, Glenties 0-4. The stars for Kilcar that day were Aodh Cannon, M. Carr, D. McBrearty, Aidan O'Donnell, T. McFadden and Seamus McBrearty. Kilcar scorers were M. Carr 1-3, P. Conroy 1-0, A. Cannon 0-3, E. O'Donnell and S. McBrearty 0-1 each. In 1974 Donegal defeated Down in the replay of the Ulster final at Clones with Michael Carr at corner forward and Danny Gillespie and John Quinn among the substitutes. The Kilcar senior team were under the management of Dan Cunningham in 1974 and were in third position in the League. On the playing fields 1975 started on a bright note with the winning of the Donegal Gaeltacht final defeating Ardara 2-7 to 1-6 and Rosses Rovers 1-16 to 2-5 at Gaoth Dobhair. In the All-Ireland Gaeltacht tournament at Whit weekend Kilcar were narrowly beaten by the Kerry champions but then went on to win the losers group hammering the Mayo side in the final and were voted the most exciting team of the competition. Having now got to the Championship semi-final Kilcar faced the might of St. Joseph's. Putting the game into perspective it was probably the most important game that they played in the seventies in that it heralded the coming of age of the U-21 three-in-a-row. Neilly Gallagher, Donal Breslin, T. Kearney. After the game the Golden Grill Cup was presented To Danny Gillespie, the Kilcar captain, by Mr. Francis Cunningham, N.T., Chairman of the County Board. In '75 Donegal won the McKenna Cup with Michael Carr and Sean McGinley playing and Danny Gillespie and John Quinn among the substitutes. Following the successes of 1971 to 1975 everybody felt that a Senior Championship was possible. Everyone in the parish more or less expected it, but in the next four years the performances never matched the potential. The process of maturing was long and painful. In the 1976 Championship first round Kilcar were defeated by St. Joseph's 0-4 to 2-6 and 0-13 to 0-10. Further trouble appeared with a car accident outside Omagh when a car travelling to a county match was in a bad collision, injuring Michael Carr and Seamus Gallahger. Also injured were Kieran Keeney of Ardara and team trainer, Austin Coughlan of Frosses. Due to the injury problems of 1976 it was decided to enter a second adult team in all competitions in 1977 so that there would be a back-up of players for the first team. With emigration decreasing and local industries expanding there was an upward trend in the population and there was a lot of young talent looking for extra activity on the playing fields. In the Senior Championship Kilcar had problems overcoming the challenge of Killybegs in the first round, drawing one of the games 1-5 to 2-2 with a late goal by Michael Carr, who was back in action, saving the day. They advanced to the quarter final only to be beaten by St. Columba's on the 10th of July at Fintra. In 1978 Kilcar met McCumhaills in the first round of the Championship and lost 2-12 to 1-5 away and 2-4 to 0-7 at home. In 1978 the senior team fared well in the League and by the 28th of April they had played eight games and won all of them. On May 1st they lost their unbeaten run to Gaoth Dobhair in Towney 1-13 to 1-8 and lost to Ballyshannon 2-15 to 0-9. This knocked Kilcar out of the League and they lost their last three games. In 1979 on Sunday, 3rd of June, Kilcar had St. Columba's, the reigning county champions, in the first round of the championship. The Democrat reported "that the game lived up to all its pre-match billing with the teams producing a hard fought and thrilling match which kept the large crowd on their toes throughout." After a very close and hard fought battle the teams were level 0-5 each at half time in the first game in Towny. The second half was similar with Kilcar winning by 0-10 to 0-9. Kilcar's marksmen were M. McHugh 0-6, F. Cannon 0-1, A. Cannon 0-1, C. O'Donnell 0-1, M. Carr 0-1. Kilcar team: M. McFadden, T. McFadden, D. Gillespie, M. Gillespie, P. Conroy, M. Carr, J. Quinn, A. Cannon, F. Cannon, P. J. McFadden, M. A. O'Donnell, M. McHugh, C. O'Donnell, S. McGinley, M. T. O'Donnell. Sub. C. McGroarty for P. Conroy. In the second leg St. Columba's gained revenge by defeating Kilcar 2-10 to 1-9 but due to St. Columba's fielding an illegal player Kilcar went on to the quarter-final where they were defeated by McCumhails by 1-11 to 1-8 at Ballyshannon. Sean McGuinness was in charge of the senior team at this stage and they had a great run in the League. The League was won from early in the campaign and the final game was against Glenties at Fintra. On the day the Golden Grill Cup was not available but a substitute cup was used in its place. The seventies was a fairly successful time for Kilcar with a lot of activity on the home front and good representation on the county side. 29 May 1987 Seniors, Junior A and Junior B teams play Championship matches in Towney! The Senior Championship had always eluded Kilcar down the years but 1980 was to be the year that the Dr. McGuire Cup was to make that historic journey to Kilcar, to find a fitting home, in a small rural parish, that had kept the ideals of the G.A.A. alive down through the years. Having beaten Ballyshannon 1-10 to 0-10 at home and 1-12 to 0-8 in Ballyshannon, we easily overcame the challenge of Rosses Rovers in the quarter-final with a scoreline of 2-17 to 0-3. In the semi-final our opponents were neighbours and arch-rivals Naomh Columba, Glencolmcille, the venue was Fintra and the match lived up to all expectations. Glen had the upper hand in the first half and led by 7 points at half time. All seemed lost but slowly we clawed our way back and goals from Francie Gallagher and Peter Conroy put us a point ahead with two minutes to go. Martin McHugh added another from a sideline kick - the final whistle sounded - we had reached the county final for the first time since 1963, with a scoreline Kilcar 2-9, Naomh Columba 1-10. The Dr. McGuire rested in Kilcar - it wasn't alone Kilcar that rejoiced but all genuine football lovers". Kilcar, who came through a difficult half of the draw, defeating Aodh Ruadh, Rosses Rovers and neighbours Naomh Columba; the latter in an epic battle in Fintra, ending with a 2-9 to 1-10 scoreline. The teams had earlier met in the League in July when Ardara won at home by 2-10 to 1-8, and they had been installed as heavy favourites in all the local papers to defeat Kilcar easily in the final. The underdogs had also been waiting for another Dr Maguire to visit their parish - the last time was 1925. Their hunger for victory was evident from early on and they duly proceeded to make little of the pre-match predictions. Senior final upset as Kilcar triumph Kilcar 1-13 Ardara 0-8 Displaying a determination, flair and a level of fitness their opponents could never come to grips with, underdogs Kilcar tore the form book to shreds at MacCumhaill Park Ballybofey on Sunday with a decisive eight points victory over their fancied South West neighbours, Ardara, which gained them their first Donegal Senior Championship title since 1925. On form and particularly after their showing in the semi-final, when they were fortunate to defeat Naomh Columba, there were few in the County outside of their own supporters, who could see them defeating Ardara from adding the Championship to the Shield title won earlier in the season, but what a revelation they were on Sunday. They were so impressive that it was difficult to believe that it was the same team which played in the semi-final. That they had done their homework in earnest since that game was very evident, not only in the fact that they were yards faster than Ardara, and still running strongly in the last minute as in the first, but in their whole approach to the game. They ran, tackled, and contested every ball as if their lives depended on it and yet all the time they played with a confidence and competence that Ardara could not achieve. The favourites were struggling from an early stage. The little Dutch boy who plugged the hole in the dyke with his finger, but Ardara just didn't have enough fingers to plug all the holes in the dyke. Their mentors switched and changed players all over the field to try and hold back the ever surging Kilcar tide, but to no avail. Their efforts were particularly directed at negating the threat posed by Michael Carr and Martin McHugh who were key men in the Kilcar win. County star Carr was the man of the match. Posted a centre half back, he was not only commanding in defence, but menacing in attack when he took off on runs up the field reminiscent of Dublin star Kevin Moran. Usually these runs resulted in a free within range of the Ardara goals. It was there that McHugh came in. He pointed frees from everywhere. In all he scored 10 points from 13, most of them from frees. But his effectiveness did not end there. This brilliant young player's speed and wizardry made him a constant nuisance to the Ardara defence and try as they might, Ardara could not find a player to keep tabs on him. Apart from Conal A Gildea, they tried Noel Watters and Lanty Molloy. However, lest anyone think that this was a two man team; it was,nt. Victory was achieved With a whole hearted team effort, that had Ardara playing second fiddle all over the field. Disappointing Ardara were disappointing and all through one kept expecting them to raise their game but it never happened. Whether they were caught on the hop due to complacency, perhaps, they never settled, or perhaps more correctly, they were never allowed to settle. With one of the biggest County final crowds for years, a pitch in great shape and a dry ball, the conditions were perfect as referee Jack Furey threw in the ball. Ardara started in the style most expected when Kieran Keeney pointed before a minute had elapsed on the watch. The sides were level in the second minute when McHugh landed the first of his points, but by the sixth minute Ardara were two points up, when Connie Molloy landed two pointed frees. McHugh had another point from a free in the tenth minute after he was fouled himself he had another point in the 13th minute and a Charlie O'Donnell score put them ahead for the first time. Ardara then switched full forward Kieran Keeney and centre forward Connie Molloy and in the 21st minute, Molloy pointed a free after his brother Lanty was fouled. Two minutes later however McHugh was fouled again and exacted full retribution by putting Kilcar ahead and from another of his frees in the 25th minute Charlie O'Donnell pointed. It was at that stage Anthony Molloy moved to midfield, but McHugh stretched the lead to three points. Just before half time, Martin Sweeney broke clear from defence and pointed to leave the half time score, Kilcar 0-7 Ardara 0-5 When the teams lined out after half time, Noel Watters had switched wings to mark McHugh, but after Gerard McNelis had reduced the deficit with an Ardara point in the 2nd minute, McHugh stretched it again with another point a minute later. There were three points in it again by the sixth minute when a quick free from Ardara about 40 yards out was intercepted by Carr, who galloped upfield, played a one two with McHugh and finished with a glorious point. Four minutes after that McHugh stretched the gap with another free, as Kilcar dominated without reflecting that dominance on the scoreboard. Ardara's attacks were fewer, but they made better use of them and Connie Molloy from a free in the 13th minute and Gerard McNelis in the 20th minute left only two points in it. In the last five minutes though it was all Kilcar. McHugh points in the 26th and 28th minute put four points between the teams and any lingering hopes Ardara supporters would have had were squashed a minute from the end, when a high lobbing ball from Dinny McBrearty was flicked on by Aodh Cannon to the net for the crucial score. Significantly and fittingly, the last Kilcar point was scored by McHugh from a pass by Michael Carr. Ardara - Patsy Harkin, Frank O'Donnell, Anthony Molloy, Eddie McLoone, Noel Watters, Martin Sweeney (0-01), Conal ., Gildea, Josie Gallagher, Anthony Harkin, Gerard McNelis (0-02), Connie Molloy (0-04), Lanty Molloy, Seamus Gallagher, Kieran Keeney (0-01) and Patsy Gildea. Subs - John Herron for McNelis and John Boyle for Patsy Gildea. Kilcar - Maurice Carr, John Carr, Dinny McBrearty, John Quinn, Charlie McGroarty, Michael Carr (0-01), Tommy McFadden, Danny Gillespie, Aodh Cannon (1-00), Martin McHugh (0-10), Francis Cannon, Sean McGinley, Francis Gallagher, Charlie O'Donnell (0-02) and Peter Conroy. There was no arguing that on the day the Kilcar men were the hungrier side. Two sets of brothers played on opposing sides that day, Frank & Charlie O'Donnell from Leaconnell and Seamus and Francis Gallagher (Kilcar). Ulster Club championship - Because they were county champions Kilcar were into the first round of the Ulster Championship only to meet the reigning Ulster champions Scotstown of Monaghan, Ballybay. Kilcar were gallant in defeat losing out by 2-10 to 1-7. Killer were short John Carr, who suffered from a broken cheek bone, and as the Donegal Democrat reported: "If Kilcar had a fault it perhaps was the tendency to overdo the short passing game. Scotstown were knocked out of their usual free flowing style by the dash and enthusiasm of the challengers, but the champions even though rocked, never lost their composure. After weathering the storm they finished in great style and were worthy winners over a gallant Donegal team which looked capable of causing a surprise for three quarters of the match". The finish which caused Kilcar's downfall that day was a ball delivered by the Scotstown centre half back Sean McCarville behind the Killer full back line and which was finished to the net by the unmarked Jim McCabe. As Scotstown wore an all blue jersey, they decided at half time to change into the maroon colours of Ballybay because it seemed in the first half that some of the passes were in the wrong direction. The Kilcar team on the day was: John Hegarty, Tommy McFadden, Dinny McBrearty, John Quinn, Charlie McGroarty, Michael Carr, Francis Cannon, Danny Gillespie, Aodh Cannon, Martin McHugh, Michael O'Donnell, Sean McGinley, Francis Gallagher, Charlie O'Donnell, Michael Doherty, Sub., Peter Conroy for M. Doherty. A feature of the game was that all four midfielders scored, Gerry McCarville from play, Sean McCrudden two from play and Danny Gillespie had one to his credit. Kilcar had a very lively 1980 the under 21s were unlucky to lose to Ardara in the final in Fintra by a score line of 1-09 to 1-04. In 1981 Kilcar were dethroned by Ardara from the championship at Fintra with a final score of 1-5 to 0-5. The goal which separated the sides at the end was of an easy nature having got a deflection off one of the Kilcar players past a stranded goalkeeper. This game was a repeat of the 1980 championship and was over physical and thus the standard of football was poor. The Kilcar attack failed to make most of their opportunities. They shot eight wides in the first half and four in the second half. The Donegal Democrat reported: "Apart from the opening five minutes in which they scored a goal and a point and the final seven minutes during which they scored two more points, Ardara were always playing second fiddle to the champions, Kilcar, who were the better side. Aodh Cannon and Danny Gillespie had the better of Anthony Harkin and Connie Molloy at midfield and the pressure for most of the hour was on the Ardara defence". Kilcar won the League by defeating Ballyshannon in the final game 1-4 to 0-6 at Glencolumbkille (as the Michéal Óg McFadden Park was waterlogged) on the 27th of October. Charlie Byrne scored the important goal in this game in the first half when Kilcar played with the wind on a very windy day and other scorers were a point each for Aodh Cannon, Christy Gillespie, John Car and Sean McGinley. In 1981 pride of place went to our second team who played in Division 3 of the Co. League and in the Junior Championship. Under team manager, Sean Brady this team reached the county final of the Junior Championship, to be beaten by Red Hugh's, Killygordon, by 2-14 to 0-4. In ten short years we had progressed from having a team which was capable of winning the Junior championship (1971) to having a second team capable of reaching a county junior championship final, without the services of twenty of the best footballers in the parish. Kilcar were also winners of the 1981 Shield which was not finished until March 1982 by defeating Naomh Columba in the final by 1-10 to 1-5. Martin McHugh was the man of the match here in scoring a total of eight points and even though Naomh Columba were in the lead in the 10th minute with a goal by Paddy Gavigan the Kilcar defence well marshalled by Michael Carr played well against the wind and team captain Sean McGinley had a great second half in carrying the ball at the Naomh Columba defence. In 1982 Kilcar defeated Naomh Columba in the semi-final and Ardara in the final of the Donegal Comórtaisí Peile na Gaeltachta at Glencolumbkille. The score in the final was 1-7 to 0-7 with the goal which separated the sided being scored by Christy Gillespie. In the All-Ireland Comórtaisí Peile Na Gaeltachta, Kilcar were defeated in the first game by Moycullen. These competitions were held in Gaoth Dobhair. In the Championship, Kilcar had a terrific battle with St. Eunan's in the first round. St. Eunan's won in Towney, the important goal being scored by Charlie Mulgrew. Kilcar won in Letterkenny with James McHugh playing great football and scoring a great goal. Then in the replay in Ballybofey, Kilcar won well with Martin and James McHugh being the chief scorers. In the semi-final Kilcar beat Downings by the narrow margin of one point in a game in which Kilcar did not play at their best. Kilcar played in the same disappointing manner in the county final versus Donegal Town to lose 1-4 to 0-6 with the important goal being scored by Brendan Martin in the second half. Our second team again did us proud in 1982 when they gained promotion to Division 2 of the League - now and Intermediate team - and we also made history by fielding a third adult team in all competitions, the first club in Co. Donegal to do so. 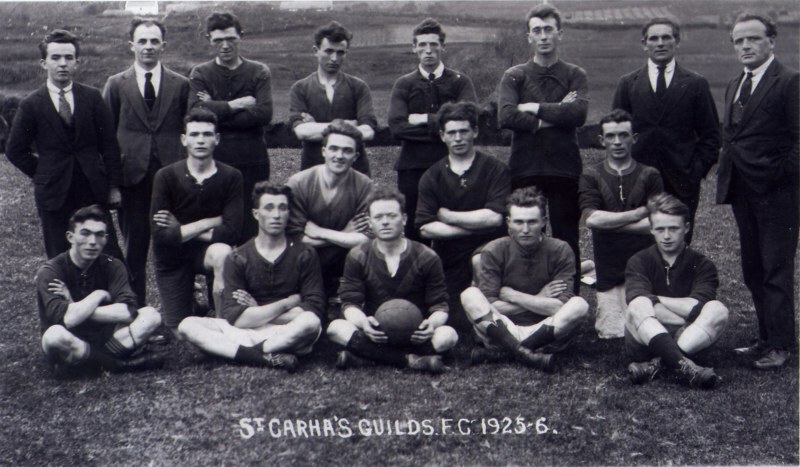 The need for a third team arose because there were still many young footballers especially between the ages of 18 and 21 who were not getting enough football and the club felt that a third team would cater for all the players in the parish who wanted regular football throughout the year. John Hegarty looked after the interests on the third team in 1982 and 1983. In 1983 was another successful year for the club when the senior team won their third Senior League title in a row. The crucial game was again against Glencolumbkille where Kilcar emerged winners by 3-5 to 0-1. Kilcar played this game without Martin McHugh, who was injured, and they played with the wind and led at half time by 2-2 to 0-0 with goals from Danny Gillespie and Michael Carr and their third goal was scored by Neilly Cannon in the dying minutes against the wind. The Kilcar team on the day was John Hegarty, Neilly Byrne, John Quinn, Dinny McBrearty, Maurice Carr, Michael Carr, John Carr, Charlie O'Donnell, Aodh Cannon, Christy Gillespie, Danny Gillespie, Seamus Gallagher, James McHugh, James Carr, Sean McGinley. In the championship Killer defeated Bundoran in the first round but on a very windy day in Glenties they were beaten by St. Eunan's in the semi-final 2-6 to 0-10. Kilcar played 26 games I the 1981-‘82-'83 Leagues. They won an incredible 23 games, drew twice (St. Eunan's 1983 and Bundoran 1981) and lost only one game in three league campaigns (to Aodh Ruadh in 1982 by 1-5 to 0-5). One doubts if this record will ever be equalled. In 1983 the results were: Kilcar 3-5, N. Columba 0-1; Killer 2-12, MacCumhaills 0-5; Kilcar 0-9, St. Eunan's 0-9; Kilcar 3-10, Ardara 1-6; Kilcar 2-12, Red Hugh's 1-4; Kilcar 1-14; Aodh Ruadh 0-8; Kilcar 2-10, Four Masters 2-7; Kilcar 2-11, Downings 0-5. It is also Kilcar's fourth league title in five years. The three-in-a-row has not been achieved since Gweedore's four-in-a-row in 1936-'39. Sunday, August 5th, 1984, was a proud day for C.L.G. Cill Chartha as they officially opened their new £80,000 pitch, dressing rooms and tea rooms at Towney, The new grounds were officially opened by Donegal's Central Council representative, Mr. Padraig S. Mac A Choill (Ard an Ratha) and were blessed by the Bishop of Raphoe, Most Rev. Dr. Seamus O h-Eigheartaigh, a native of Kilcar. The pitch opening was marked by a senior inter-county challenge between Donegal and Ulster champions, Tyrone, which Tyrone won by eight points against a depleted Donegal side. 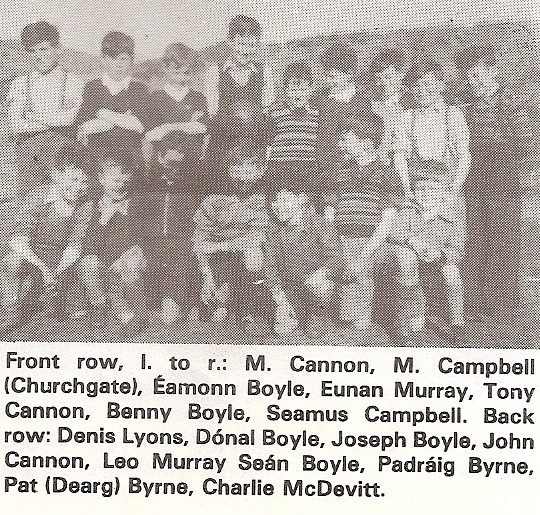 Before the opening there was a number of short football matches involving the under-age teams and then a senior game between Naomh Columba and Cill Chartha for the Fr. McClafferty Cup and this game was won by Kilcar by three points. Then the pipe band led a parade of the club's under 12 and under 14 players which included a presentation of all the different county colours. Also included were flag bearers carrying the national flag, the centenary flag, the Donegal flag and the local club colours. and excellent player of the sixties and early seventies. more history from the 1990s to follow..